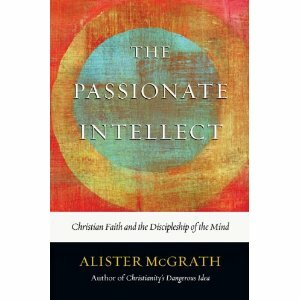 Alister McGrath, The Passionate Intellect: Christian Faith and the Discipleship of the Mind (Downers Grove, IL: IVP Books, 2010). $22.00, 210 pages. To read my complete review, go here. To receive my book reviews via email, subscribe here and make sure to reply to the confirmation email. First Corinthians 10:23–11:1 concludes Paul’s argument about eating food sacrificed to idols. He prohibits eating such food at religious feasts in pagan temples, but he permits eating it at dinner parties in private homes on a case-by-case basis. First Corinthians 10:23–11:1 outlines his reasoning on the latter subject. “Everything is permissible”—but not everything is beneficial. “Everything is permissible”—but not everything is constructive. Nobody should seek his own good, but the good of others. Eat anything sold in the meat market without raising questions of conscience, for, “The earth is the Lord’s, and everything in it” (Psalm 24:1). If some unbeliever invites you to a meal and you want to go, eat whatever is put before you without raising questions of conscience. But if anyone says to you, “This has been offered in sacrifice,” then do not eat it, both for the sake of the man who told you and for conscience’ sake—the other man’s conscience, I mean, not yours. For why should my freedom be judged by another’s conscience? If I take part in the meal with thankfulness, why am I denounced because of something I thank God for? So whether you eat or drink or whatever you do, do it all for the glory of God. Do not cause anyone to stumble, whether Jews, Greeks or the church of God—even as I try to please everybody in every way. For I am not seeking my own good but the good of many, so that they may be saved. Follow my example as I, as I follow the example of Christ. Two things strike me about 1 Corinthians 10:23–11:1—indeed about the entire argument of 8:1–11:1. The first is the robust knowledge that guides Paul’s thought process. Paul’s argument proceeds out of a deep commitment to truth and a deep rejection of superstition. But the second is that robust love that animates Paul’s commitment to people. He knows idols are nothing, but he loves people who continue to mistakenly believe they are something. At the outset of my comments on 8:1–11:1, I noted that few modern Christians—at least in the West—deal with the problem of food sacrificed to idols. Our temptation, therefore, is to breeze through or ignore what Paul writes there. But now that we’ve revealed Paul’s thought process, we can see how applicable it is to modern times. Do we relate to others on the basis of the knowledge that confers rights, or do we relate to them on the basis of the Christ-like responsibility to love them? Knowledge and love. Rights and responsibilities. These are very modern issues, aren’t they? In 1 Corinthians 8:1–10:11, Paul examines the practice of Christians eating food sacrificed to idols. In the ancient world, people sacrificed animals to the gods. They gave some of the meat to the priests, and they consumed some of the meat in a religious feast at the temple. The priests sold leftover meat in the public market, which was then consumed in private homes. Chapter 8 lays the theological and ethical foundation for Paul’s argument, while chapter 10 builds a house of practical application. At first, chapter 9 appears to be a digression from the main argument, but it is not. Rather, to continue the building metaphor, chapter 9 describes the person who lives in the chapter 10 house built on the chapter 8 foundation. In chapter 8, Paul agrees with the Corinthians that idols are objectively unreal and idol food objectively insignificant. This knowledge led the Corinthians to eat idol food whenever and wherever they desired. Paul seasoned his knowledge with love, however. In chapter 10, he prohibits the practice of Christians eating idol food in religious feasts at pagan temples because—as we will see—this requires them to participate in demonic deceptions. However, he allows them to eat idol food in dinner parties at private homes, if—and this if is crucial—no one has scruples about the practice. Love of neighbor determines what one should do. The Corinthians exercised rights based on knowledge. Paul exercised restraint of his rights based on love. The entire point of chapter 9 is that restraining the exercise of one’s rights confers advantages on those who share the gospel. And since saving others is more important than serving oneself, Paul offers his personal example as a lifestyle worthy of imitation. On several occasions, I’ve noted that the issue of food sacrificed to idols is not a live one for most of us in America. (A missionary emailed me, though, to tell me that it’s a life issue in his cultural context.) The relevant question for us American Christians is this: Do we spend more time and effort cultivating our rights or cultivating our responsibilities to those who need to hear the gospel? It’s a tough question. I can’t answer it for you. But I am certainly examining my lifestyle and asking it of myself.